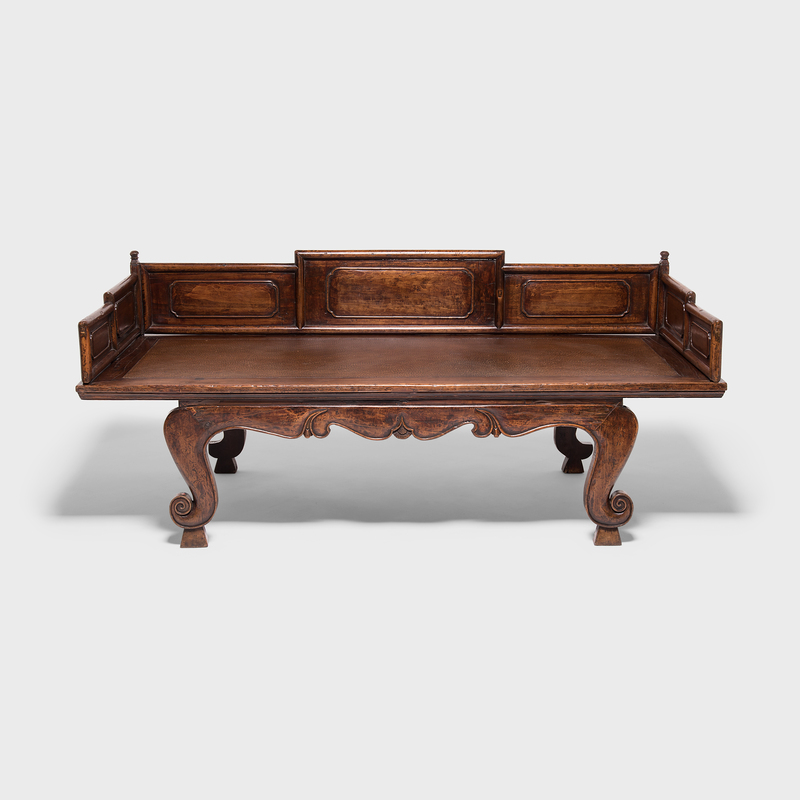 W: 69.0" D: 24.5" H: 34.5"
This beautiful cane sofa was made by an artisan in Guangzhou, China, a bustling port city that was once a major destination along the silk road. 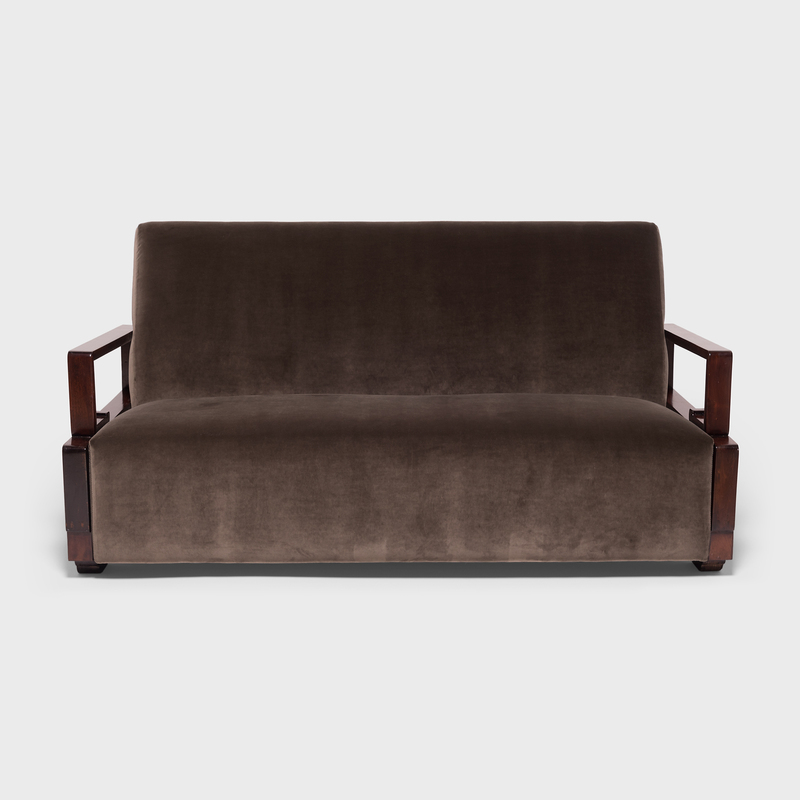 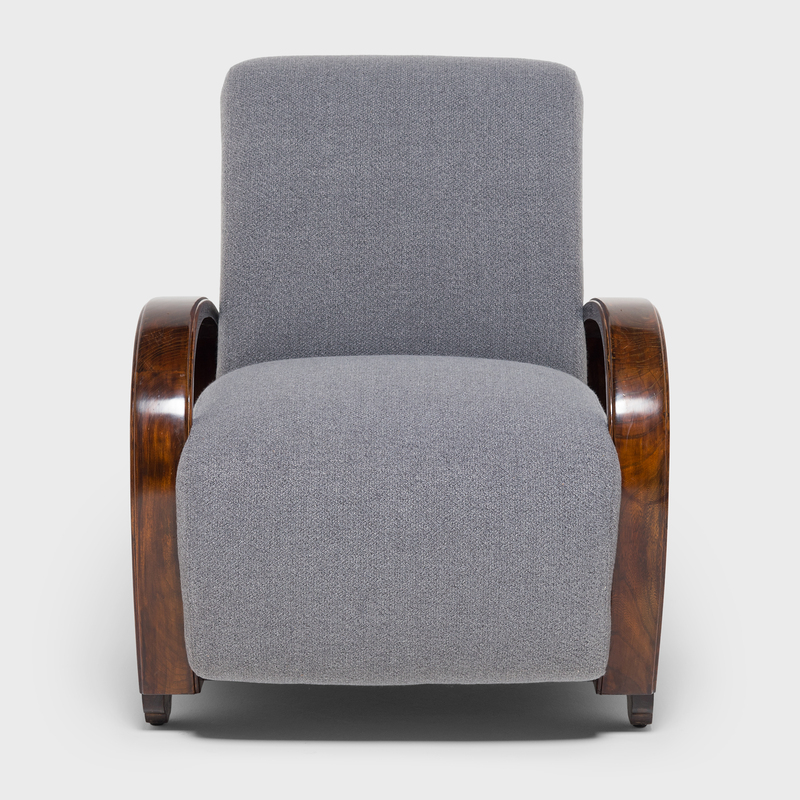 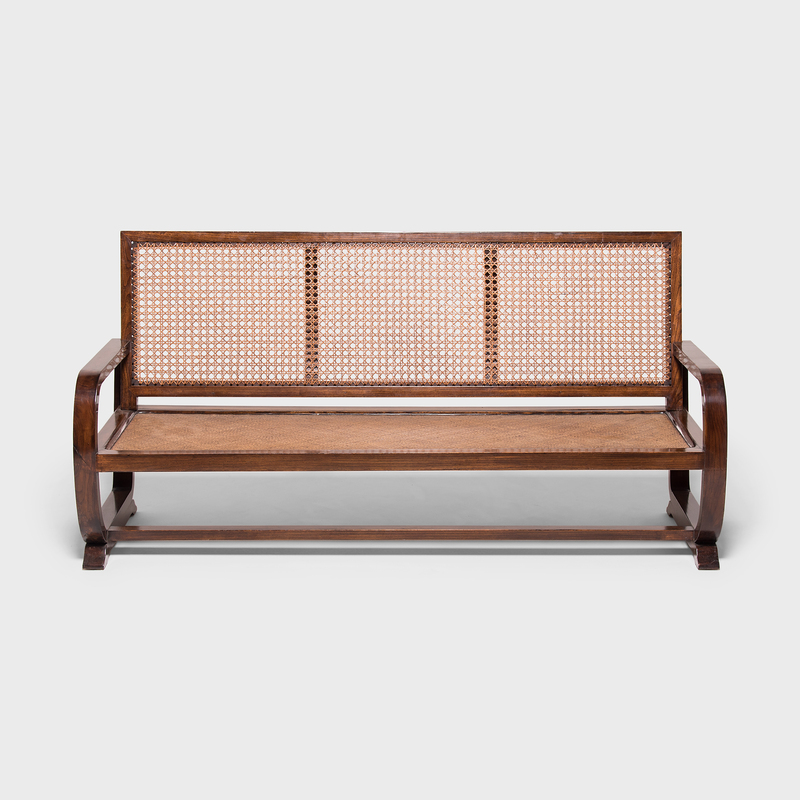 Clean lines drawn by the sofa's rounded elmwood frame are contrasted by the tightly-woven seat and loosely-woven caned back, a subtle mix of texture and color. 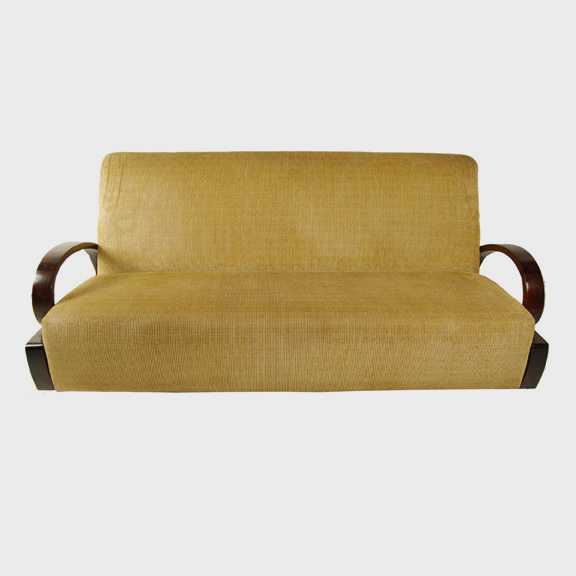 With an easy lightness, the sofa's open form makes for a delightful addition to a back porch or sun room.